Tied with a Ribbon: Summer stitching and hooking! Starting the new year with some Custom order quilts is a great way to get back in the swing of things after the Christmas break. 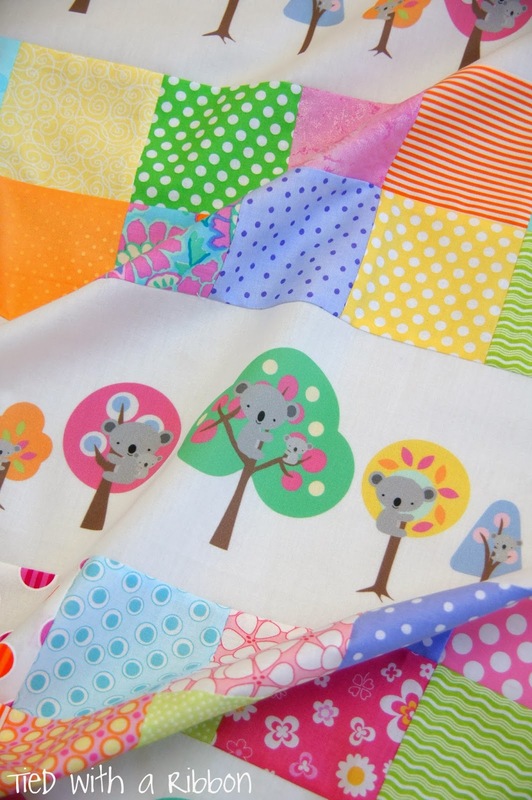 This brief was for a girly version of the the Koala Quilt I had made for a little man late last year. The Koala fabric I ordered through Spoonflower - they are great when there might be something quite specific you are after. 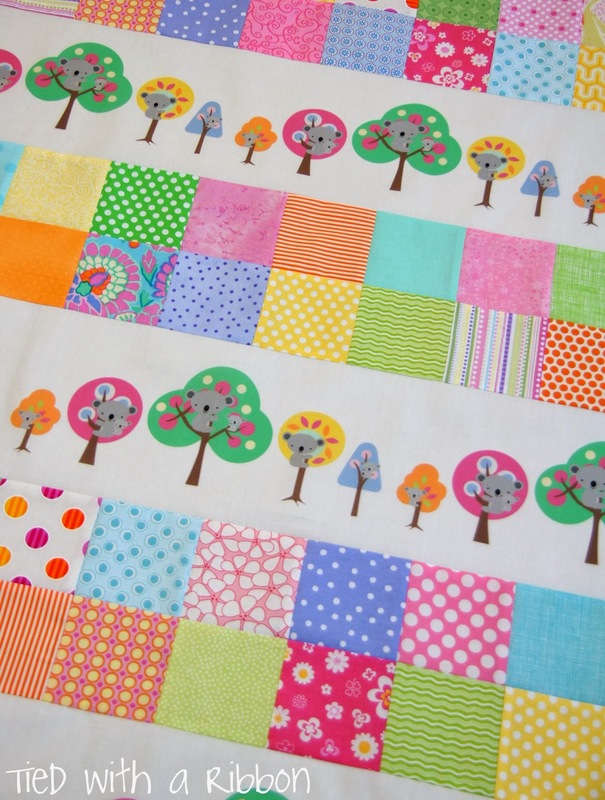 I went through my stash to find an array of fabrics to go with the Koalas sitting in the trees. With the top all complete it is now time to sandwich and quilt this cot size quilt. This cutie is called Roxy Long Socks - the pattern from The Red Thread is well written and the instructions are easy to follow. I made this one for my God Daughter as a Christmas Gift. This quilt was also gifted over Christmas to my niece. 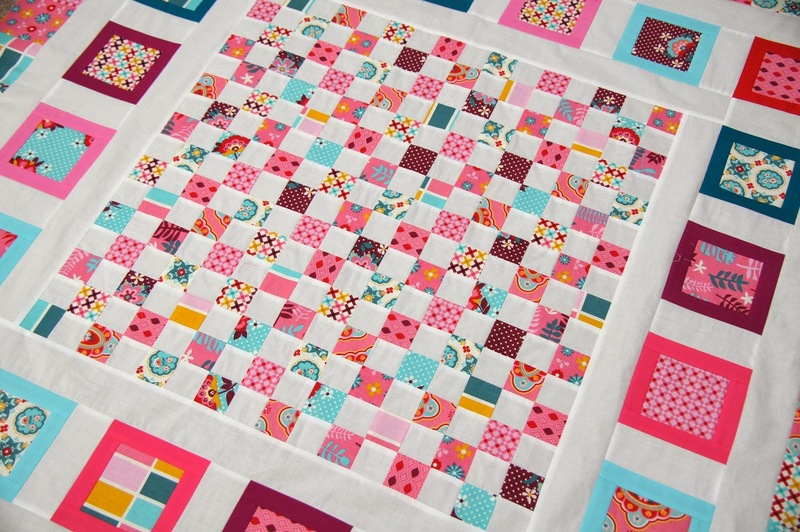 I love the checker board centre - well I do love squares! With several projects finishing up it is time to get started on a new Crochet project. 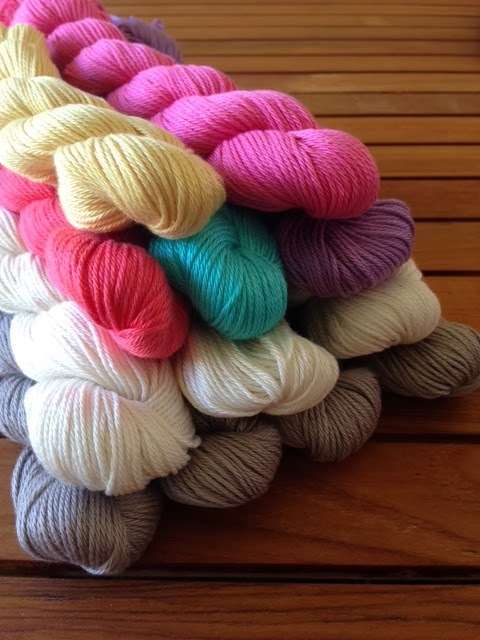 These luscious Cascade Ultra Pima Yarns that I bought from Tangled Yarns look so pretty when they arrive all wound like this. I am going to make this sweet Granny Square Flower Bobble Blanket. I have already started to make a few flowers so will update with some progress shortly. With the girls on summer holidays I am looking forward to some lazier days filled with crafting, coffee and just time to get ready for what I am sure will be a busy year ahead. I have a long list of projects I am so keen to sink my teeth into.